Meg's Boutique: When in doubt chuck on your staple jewellery! Sometimes I really can't be bothered to/don't have time to spend ages in front of my jewellery box deliberating over what matches my outfit, but at the same time I feel semi naked when I leave the house without any on...which is why last December I decided I wanted my own staple jewellery that was really good quality so it would last forever, timeless so I could wear it forever and would go with anything so when in doubt/running out of time/having a lazy day so I could wear them and still have a complete outfit. This kind of jewellery is much more expensive than the normal fashion kind, but it's an investment that's totally worth it! 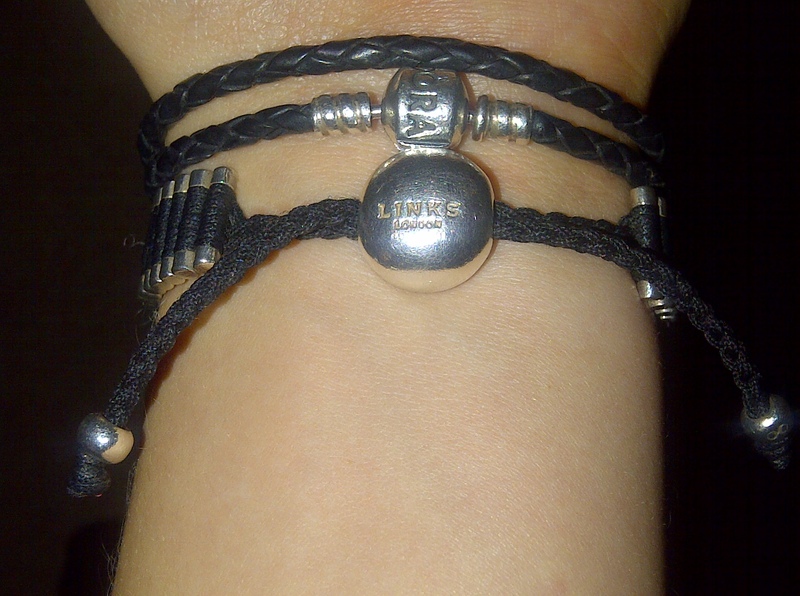 I'm very lucky to have a wonderful boyfriend who listened to my hints and got me a lovely black leather double weaved Pandora bracelet with a turquoise birthstone charm for my birthday and a gorgeous black Links of London friendship bracelet for Christmas (which happen to be in the same month- what a lucky girl!). They were such a total godsend and saved me so many hours of deliberation and days of feeling jewellery-less, I started hinting about my desire for a necklace that would fulfil a similar function and on Valentines day I unwrapped a beautiful heart necklace, perfect for any outfit and occasion! So the moral of the story is having your own set of staple jewellery is an absolute must, particularly if your a busy bee (I'm sure mine will keep reappearing in my the outfits I blog about when I'm busy!) Just make sure when you do have time to make the rest of your jewellery box feel wanted too :) Do you have a set of jewellery that you can't live without? Or do you find the time to mix it up everyday?